Metamorphosis is a topic which isn’t quite novel but one that never becomes boring. 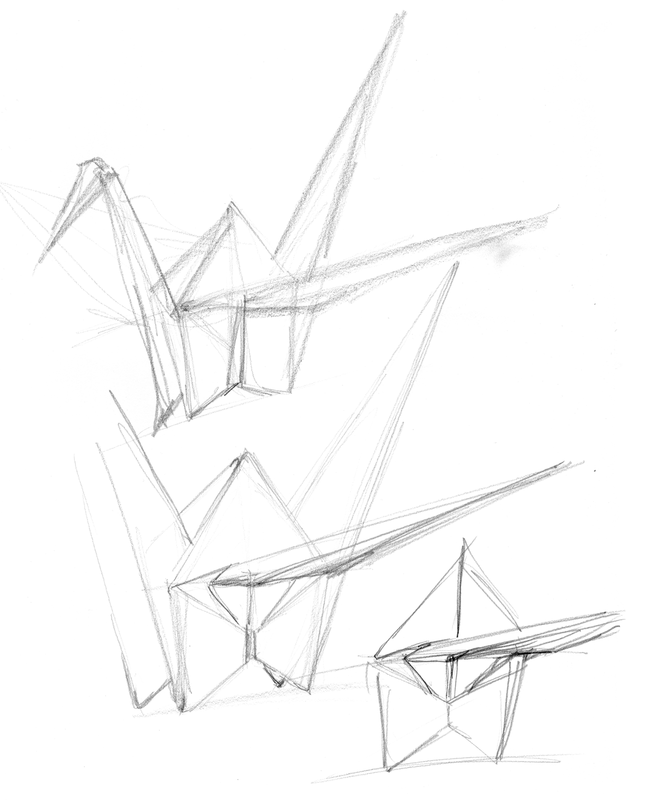 While trying to fold some origami animals (I totally failed), I had the idea to draw some of them instead and to let the abstract figure transform into a real life animal. 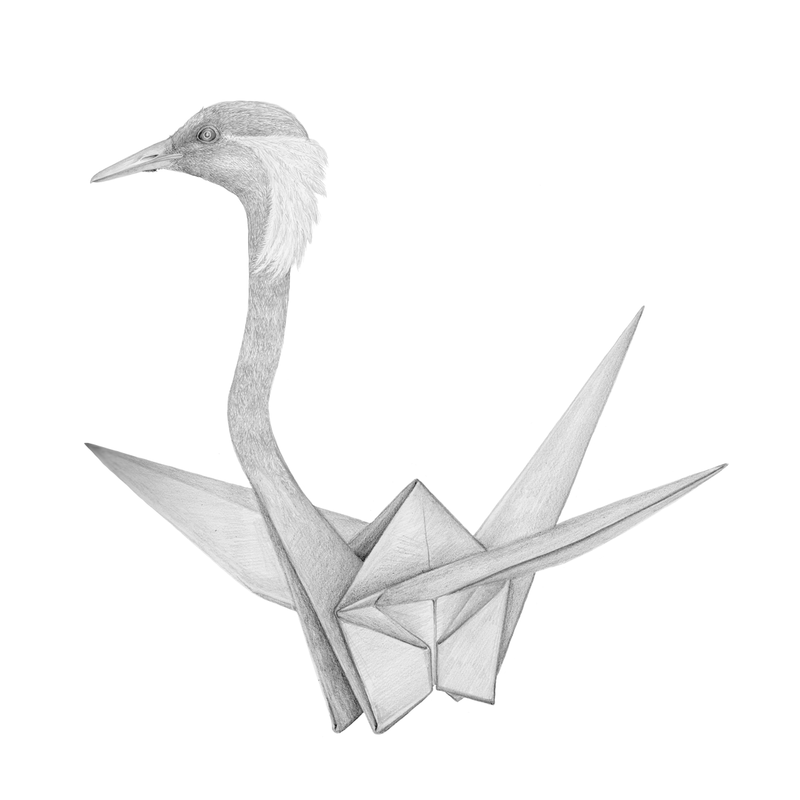 For this I choose the crane, one of the most traditional origami animals. 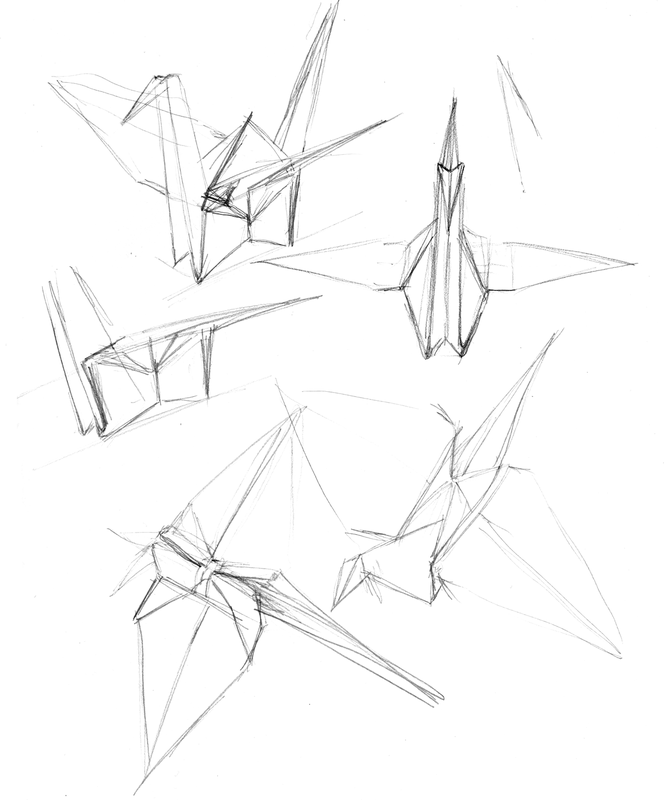 I did a lot of misshapen sketches before I could move on to the final drawing (see below). But in the end I got it. 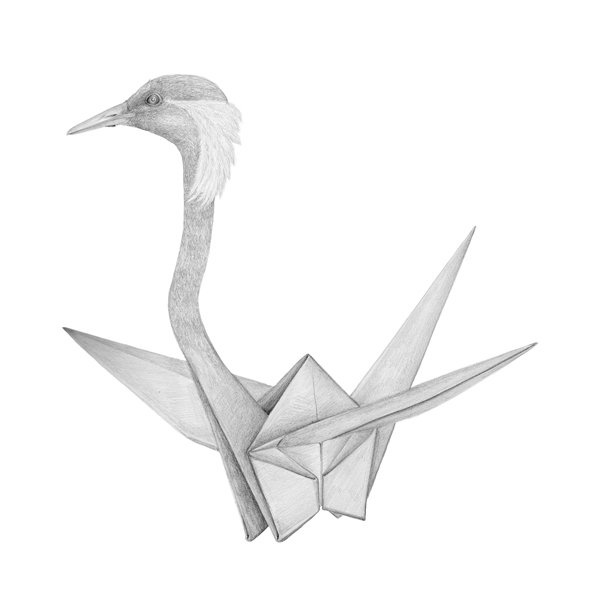 By the way: Cranes bring luck.